girugamesh is a Japanese metal band. The group started in 2004 in the members’ native Chiba prefecture. On the live scene, girugamesh generated considerable buzz with their powerful live shows, adept musicality of a level uncommon in newly formed bands, and their tremendous potential. The band delivered their debut album, “13’s reborn,” in September 2006. The group then released their second effort, “Girugamesh,” in December 2007. The band’s unique and heavy sound received a great deal of attention internationally, and they had numerous offers to play in the United States and Europe. The group embarked on their first six-show tour of Europe in January 2008, demonstrating their ability to play in the world arena. In November, 2008, girugamesh announced the release of their third album, “MUSIC,” which incorporated synthesizers and digital beats to create a melodic and danceable sound. The group followed the release with tours on an even larger scale. From November 2008 to March 2009, the group swept through all 47 prefectures in Japan, which they finished with a sold-out show at Shibuya AX. In April 2009, the group played in America. The following month, girugamesh returned to Europe, where they headlined ten shows in seven countries, playing before a total of 7,000 fans. The band was invited to play at numerous long-running rock festivals overseas. Finally, in January 2010 they played at Shinkiba STUDIO COAST and filled the venue to over 2,000 people for the first time. They sold out most of their shows at live houses for the rest of their Japan tour (in Spring, Summer, and Fall of that year). In 2009, in order to challenge themselves one song at a time, girugamesh released a string of three singles. Their new ambitions were fully realized with their album “NOW,” which was released in December 2009. As the title suggests, the album was packed with the very latest from girugamesh. Their single “COLOR,” released in July 2010, had a distinct “summer mood” to it. 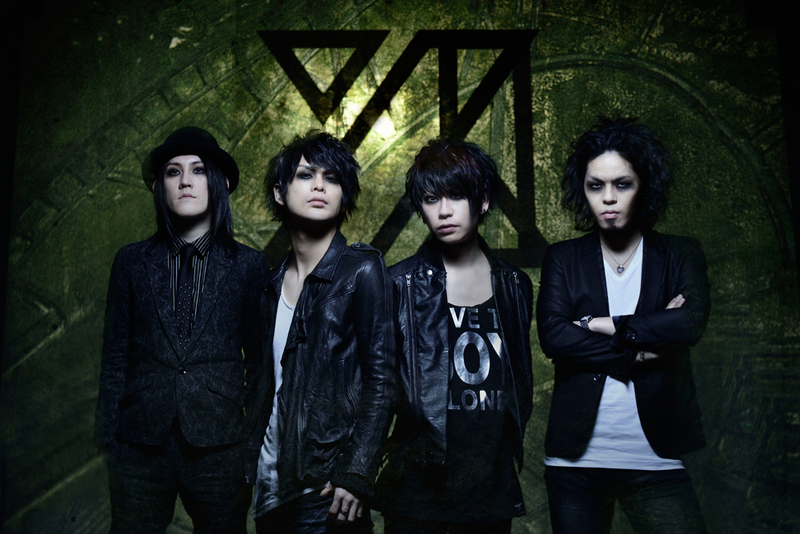 girugamesh then released “Inochinoki” in October, which took one step forward in expanding their emotional palette. After completing their third tour of 2010, girugamesh released “GO” on January 26—what might be called a “compilation” album. The album title “GO” aptly expresses how these songs literally spill over with energy and desire. Brisk rhythm, an exhilarating combination of instruments, and the band’s ever-improving technique all underscore a dynamic sound that backs up the vocals. The songs on “GO” deliver a heart-warming world that you can instantly slip into. On February 5 girugamesh performed their first hall concert in their native Ichikawa (Chiba Prefecture). They continued to show drive by leaving on their first world tour in two years. In March they played Europe (10 venues in 6 countries) and in April they toured America (4 venues). Local fans crammed into venues on this tour to see girugamesh live, and the band played to massive acclaim. In April they announced the limited release of the charity song “pray.” This song was released in two versions—a Japanese lyric version, and also the band’s first English lyric version of a song. They were able to write such a song in English because of the great support they have from overseas fans. Finally, girugamesh started their Japan Tour in June. Their show at Zepp Tokyo was the grand finale to the World Tour, and it showed how much the band had grown and developed their live performance in the past few months.